The design team of H&M Studio was influenced by the urban grace and strong minimalism of Japan for the spring-summer 2018 collection. Featuring clean silhouettes, a relaxed vibe and abstract prints inspired by the Japanese writing system. The womenswear in particular also focuses on head-to-toe print and bright colours in the form of flowing full-length dresses, easy tunics worn over trousers, utilitarian tailoring, free-flowing fabrics and statement knits adding to the sense of balance between minimalistic design, pure colours and movement. 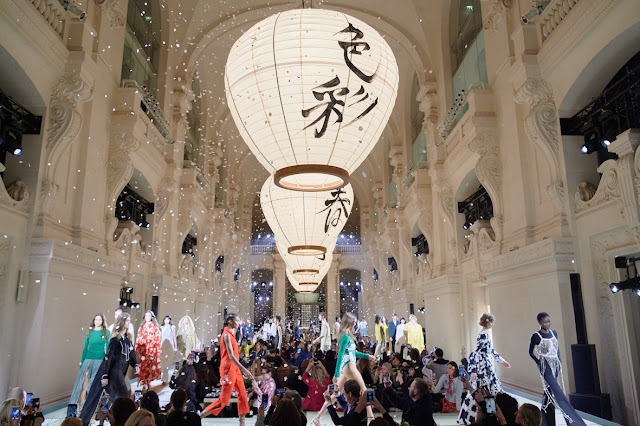 During Paris Fashion Week the new collection was showed at Musée des Arts Décoratifs. The venue was transformed into a modern vision of the archetypal Japanese interior complete with iconic tatami mats and statement-making ikebana compositions. 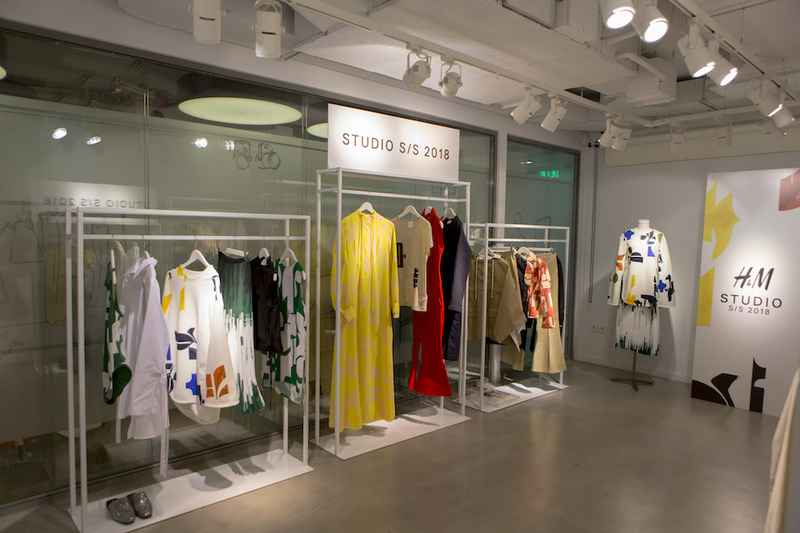 Worldwide the show was live-streamed as in the showroom in Athens, where fashionistas enjoyed the hospitality and were inspired by the new collection. Anna Kotsareli and Alexandra Katsaiti enjoying the new collection. 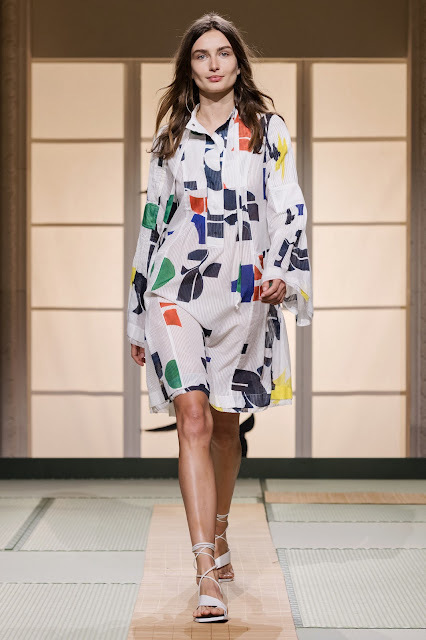 Andrea Diaconu showed my favourite piece of the collection, I love the print of bright colours and the structure of this white dress. I added this photo of the detail of the sleeve. The beauty look for the H&M Studio S/S 2018 show in Paris was created by the make-up artist Isamaya Ffrench using products from the H&M Beauty assortment. To complement the collection, the beauty look was clean, fresh and minimalistic, with a pop of colour on the eyes. 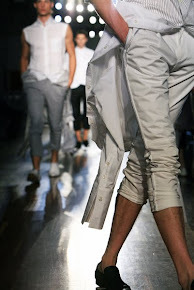 The make-up had a simple, effortless look, reflecting the wearability of the collection. Enjoy watching the tutorial! H&M Studio is the key seasonal collection from H&M, with its own dedicated design team. Both the womenswear and menswear that appeared on the runway were released online directly after the show and are already available in stores around the world.